(Updated 08/20/12 9:00 pm) The Tustin City Council race is off to a good start. Five candidates have filed for three seats. Councilmember Jerry Amante is termed out and Councilmember Deborah Gavello has chosen not to run for a second term. Mayor John Nielsen is running for a second term, probably so he can fulfill his latest campaign promise. The California Secretary of State, Deborah Bowen, has made the random draw of the alphabet that determines where candidates names will be on the ballot. The random alphabet draw was passed by the legislature in 1975 due to the bias caused by alphabetical and incumbent-first ballots. As we said, John Nielsen is the only incumbent running and has a built-in lead by his incumbency that should make up for his last-place placement on the ballot. He has also, occasionally, stood up to Amante and voted his conscience. While those are rare times, we hope that if he is re-elected, Amante’s influence will wane (we can always hope). He is well endorsed by a broad spectrum of the community. John lists as his priorities, public safety, taxes, and traffic. He doesn’t appear to think of transparency in government as a priority. But that is understandable, given his track record. in a scandal involving city credit cards and lingerie shows. As far as we can see, there was little truth to any of it but, it made for a good story around the campfire. It is probable there was enough credibility in the story at the time to cause him to lose the election. Chuck appears to be an affable guy who some believe will speak his own mind when necessary. In any case, he has a leg up as a former councilmember and mayor. 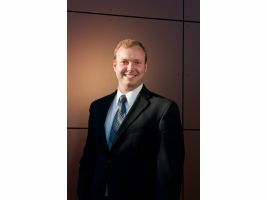 He has remained active in the community and has held positions on the Tustin Community Foundation Board and recently as the Chairman of the Tustin Planning Commission. Unlike Nielsen, Chuck lists, among other things, transparency in government as a priority saying, “Our city government and financial decisions must be transparent.” That’s a plus for us. Allan Bernstein, well what can you say about Allan? Anyone? Anyone at all? He has no political experience. He has no community involvement that we have seen other than when he appeared as a judge for the Annual Chili Cookoff alongside… can you guess? Jerry Amante. In fact, Allan is a good friend of Jerry’s apparently, and lives in his neighborhood. But, until Hizzoner began showing him around political circles, few had heard of him. His campaign manager has had the good sense to host fundraisers for Allan at both the Wilcox House and that bastion of republicanism in Old Town, Quinn’s Old Town Grill. Bernstein bills himself as a “physician” as he is a podiatrist. My chiropractor also calls herself a physician. It is Bernstein’s initial attempts to deceive the public as to his community service that has us most concerned. At the chili cookoff, he was reported to be wearing a pin with the Tustin City Seal and the word, “Candidate” on it. If the average citizen saw this, they might think Bernstein already sits on the council or works in some capacity for the city. 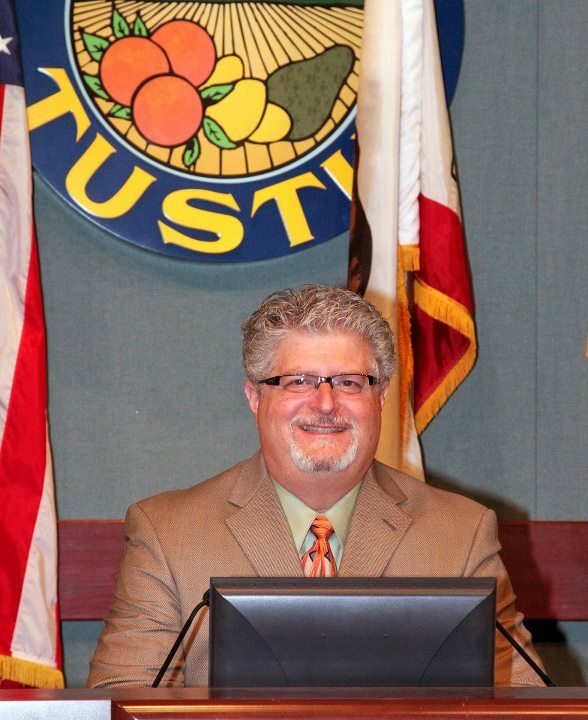 Add to this Bernstein’s Facebook profile picture (also shown above) that shows him on the dais in the Tustin City Council Chambers, sitting at a council seat with the Tustin City Seal above his head. Again, he deceives anyone looking at his page (it is open to the public, by the way) into thinking that he is a sitting councilmember already. If this is the type of tactics Amante has endorsed for Bernstein, he needs to take another look at campaign laws. Bernstein has a web address reserved but, alas, no website as of yet. The big question: Will Jerry push his beloved dog aside and let Allan ride with him in the Tiller Days parade? Like John Nielsen, candidate David Waldram is an Eagle Scout and very proud of his work with the Boy Scouts. He previously ran for city council in 2010 and was narrowly defeated by Beckie Gomez. David recently held his kickoff fundraiser at his home with a BBQ and bouncehouse for the kids. He is a sometimes teacher at Tustin High School and a small business owner. 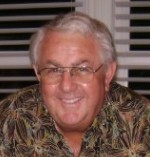 Waldram is also a lifelong resident of Tustin having attended local schools and Chapman University. Although he has a website, it does not appear to be fully functional yet. The best bet for information is his Facebook page. Waldram and Tracy Hagen are having a fundraiser on August 30th at the Loveland residence. More information is available on his Facebook page. The final candidate is veteran councilmember, Tracy Worley Hagen whom we recently wrote about. Tracy won a seat on the council in a contentious race in 1994. She has been Mayor of Tustin 4 times. We would like to say she is coming back into politics but it seems she has never really left. She was at the forefront of an effort to bring civility back to the dais when a hit piece on David Waldram was discussed at a city council meeting. Along with her 12 previous years on the council, Tracy has held seats on the boards of OCFA, Transportation Corridor Agencies, and the OC Sanitation District. 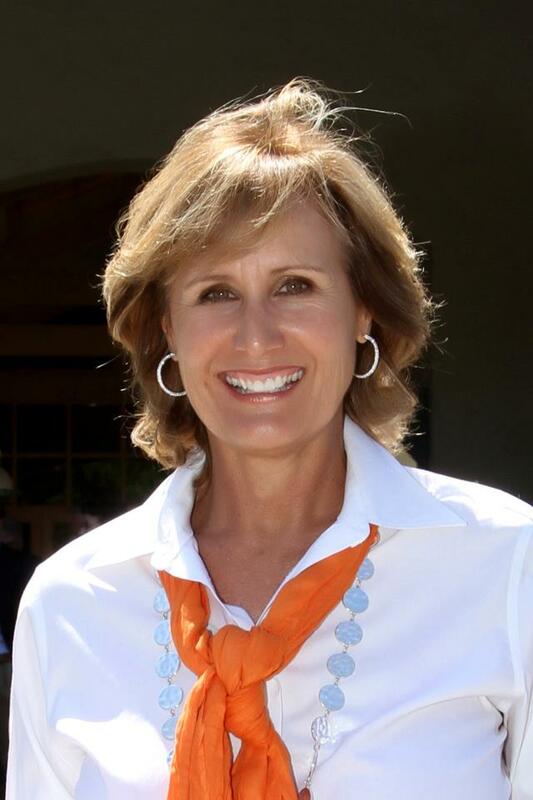 Her community service includes, past-president of the Foothill Boys Volleyball Team Boosters and she sits as current president for the Tustin Ranch Homeowners Association III. Tracy is also an active member of the Assistance League of Tustin. Tracy was instrumental in securing the old Tustin Marine Corp Air Station, when it closed, in a no cost transfer of the base to the city. After a slow start in development (through no one’s fault except the economy), the area promises to breath new life into our town. Tracy has both a website (of the blog sort which we like) and a Facebook page that has plenty of information on her background. Hopefully, she will get her platform up somewhere soon. We do know, in casual conversations with her, she puts transparency of government and civility to citizens and each other on the dais as high priorities along with fiscal prudence and a government that serves the people. As we have said, this is shaping up to be one heck of a race. All odds are even at the starting gate. As they round the first turn, we will be there to let you know how things are going. Posted on August 20, 2012, in elections, In the News, Local Government and tagged allan bernstein, chuck puckett, city council candidates, city council elections, david waldram, john nielsen, random ballot, tracy hagen, Tustin. Bookmark the permalink. 7 Comments. I say that Nielsen will get a well-deserved flogging by Worley– if Worley runs smart and hard and deflects all of the trash that Amante and crew will throw at her she can be the top-vote getter. As a sitting mayor, you would think Nielsen would come out on top, but there are a lot of fellow Tustin High parents who are leaving him in droves because of his stand on the TSUD lawsuit—it will be a real slap in the face for him to come in 2nd place. The real battle will be getting Waldram in—his sucess will determine which direction the council will take over the next few years— going in the same diection with Amante’s good old boy’s or taking a 180 turn with a Worley/Waldram election. The lawsuits could be the defining moment in this race. As we progress, I plan on asking each candidate what they will do about the remaining lawsuits. Remember, however, that even Deborah Gavello drank the Koolaid on the Heritage lawsuit and was in favor of it because they all thought they were looking out for the interests of the families rather than the community (in this case, the school district community) at large. Sheila, perhaps you didn’t see the subheading under Our Town Tustin, “Blogging Political Discourse in Tustin, California” on the header. This is not a news site, it is a political debate blog and you are welcome to join in with your own commentary. I encourage dissenting views. However, if you want an unbiased look at candidates, I suppose your best bet is the OC Register. Here, you will get information with my viewpoint. That’s the whole, well, point of the blog. If you see something that is in error or that is untrue, then you are welcome to pass it along. We all make mistakes and I always own up to mine, the few times I have made them (research is golden). You perhaps right Jeff! My mistake – I thought that the summaries and the comments that followed were from two different sites. Always good to have other prespectives and keep an open mind for new ideas or thoughts. Sheila, I couldn’t agree more. I started this blog last year with a watchdog approach in mind. But, I also wanted to have some fun with it. This election has strong and, mostly, experienced candidates running. It is going to be interesting to see how it progresses.